Since its inception, Square Peg Construction Inc. has set itself apart through keen aesthetic vision, design acumen and uncommon craftsmanship. 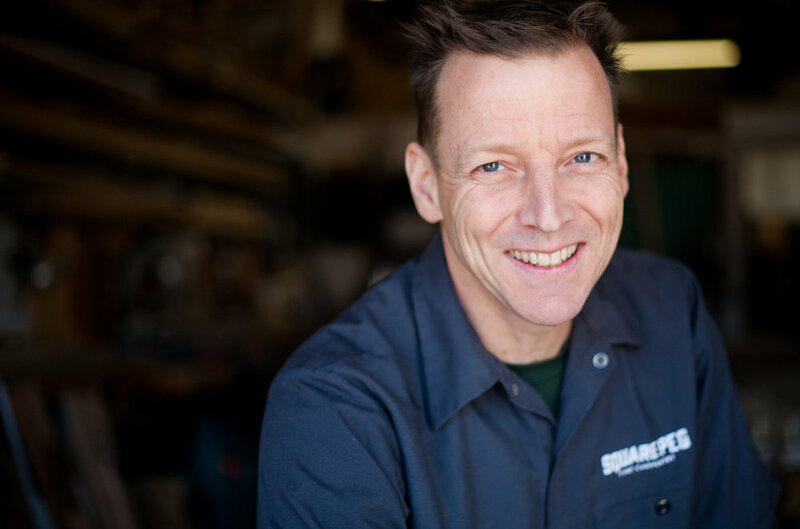 The Square Peg team prides itself on setting a new standard for wood tradesmen and being the best dang team around. David Humphrey and Chad Hajek met as like-minded sub-contractors on a construction site in 1997 and joined forces with Leslie Humphrey to found Square Peg Construction in 1998. When Chad moved on from Square Peg in 2011, Leslie assumed full responsibility for the back end of business management and growth of the company. Although we started with just two carpenters, our dedicated shop and field teams have built our reputation for quality work and are the foundation of our success. We respect their commitment and skill with w-2 status, paid holidays, sick days and health benefits. We are proud that several of our team members have stayed with us for six or more years. 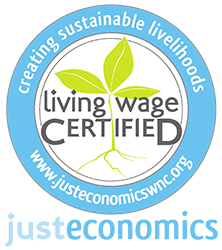 Square Peg is a Certified Living Wage Employer and a proud member of the Asheville Home Builders Association and the Asheville Green Built Alliance. David found trim carpentry through a degree in sculpture and shines as an artistic visionary, multi-material wizard and people-connector. He has a designers eye and the technical expertise of a master carpenter. He has the wherewithal and connections to assemble the right team to solve intractable construction challenges. David excels at the details. When not working, David is always stoked to prove the value of experience over youth in adventure sports. You can find him biking the trails of Bent Creek, climbing at Rumbling Bald or at the front of a yoga class. 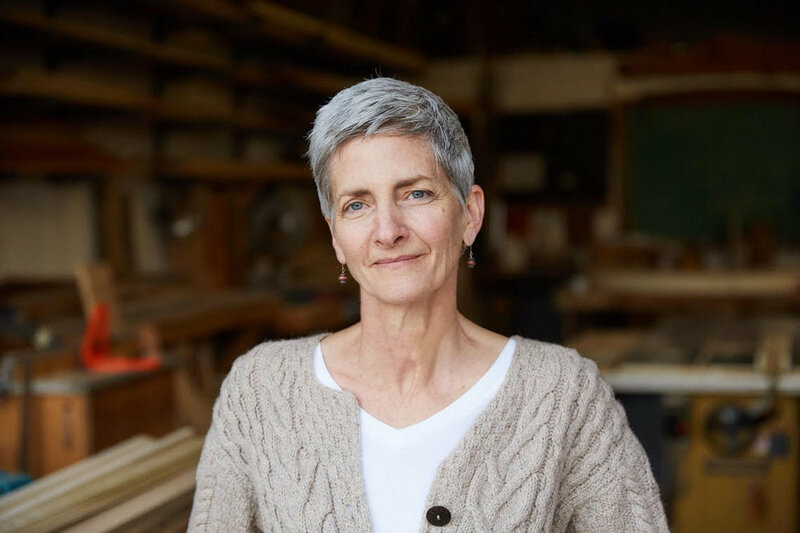 With a background in construction and historic preservation, a degree in architecture, and over a decade managing Square Peg operations, Leslie understands what it takes to successfully manage our trim team. She serves as the critical interface between field and office, and is responsible for communications, estimating, invoicing and keeping the projects running smoothly and on time. Leslie is on the AHBA’s Workforce Development Committee, on the Montford Neighborhood Association Board and volunteers with Open Doors Asheville. She seeks life balance in the great outdoors, in the kitchen at home or at one of her dozen or so favorite breweries. Partners in work and in life, David and Leslie have raised three inspiring daughters.